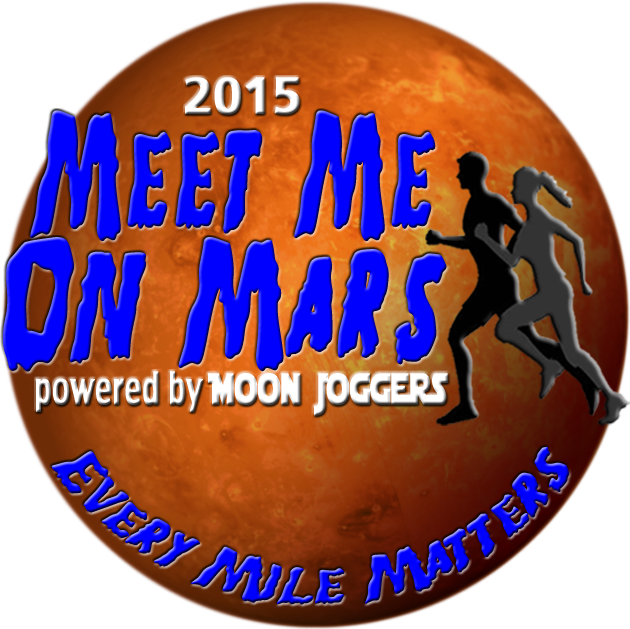 Moon Joggers is looking for 30,000 runners (walkers and joggers too) to join our challenge in 2015 to run to Mars! It is a 33 million mile journey and our crew of 30,000 will commit to run (and/or walk), on average, 1000 miles each in 2015! This is a WORLDWIDE event! Connect with participants from around the globe! You can join anytime throughout the year and even back log your miles back to January 1, 2015! Set up a log for FREE and start logging your miles NOW!!! Help us reach our goal of running to Mars this year! You can sign up through Active or click HERE TO CREATE YOUR LOG NOW! Did we mention, it's FREE?? Join the fun! You'll move up that Moon Jogger rankings as you log more and more miles! And check out our big 2016 event: MERCURY RISING (use promo code ACTIVE to save 15%)! You can sign up through Active or click HERE TO CREATE YOUR LOG NOW!